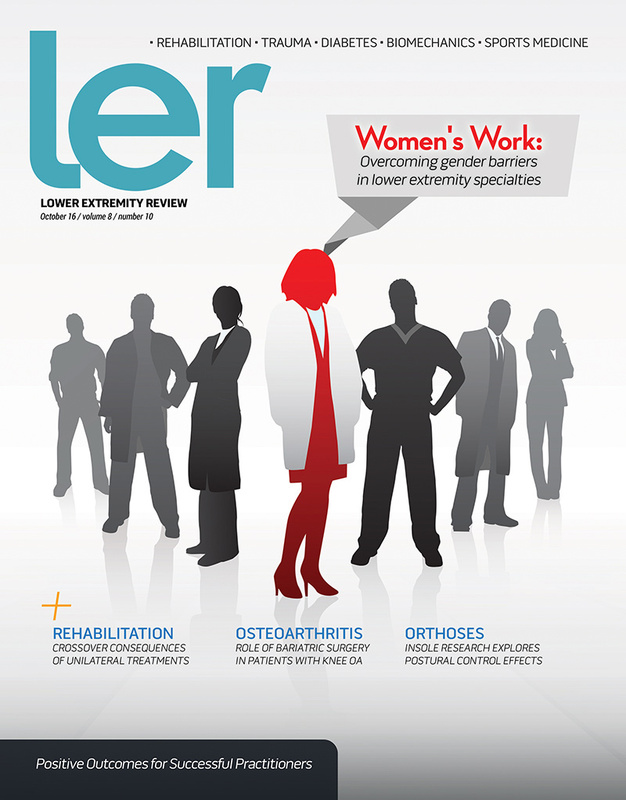 In lower extremity healthcare, as in politics, it hasn’t been easy for women to succeed in traditionally male-dominated roles. The gender demographics have shifted toward parity over time—in some specialties more than others—but challenges still remain. Obese individuals often spend their entire lives telling themselves how much better their lives would be if only they were thin. But losing massive amounts of weight following bariatric surgery doesn’t automatically make a person a better candidate for total knee arthroplasty (TKA)—any more than it automatically makes a person happy—if underlying issues have been ignored. Reykjavik, Iceland-based Össur announced that, effective September 1, it has acquired Medi Prosthetics, a global provider of mechanical lower limb prosthetic components located in Bayreuth, Germany, with total sales in 2015 of $17 million. Össur expects full integration of the business by 2017. SmartCEO in September named Owings Mills, MD-based Board of Certification/Accreditation (BOC) President and CEO Claudia Zach­arias, MBA, CAE, a 2016 Circle of Excellence Award finalist. Whitsett, NC-based medi USA announced in September that the compression therapy, orthopedics, spinal bracing, prosthetics, and foot care business has made a strategic investment in a sports medicine company, Topical Gear, headquartered in Lakeway, TX. London, UK-based Smith & Nephew’s single-use negative pressure wound therapy system can significantly improve outcome predictions and reduce complications after orthopedic surgery using Pico, according to randomized control trial data presented in September at the European Bone and Joint Infection conference in Oxford. Gary Sayed, PhD, dean of the College of Health, Human Services, and Nursing at California State University, Dominguez Hills (CSUDH) in October named Mark Muller, CPO, FAAOP, MS, the new chair of the university’s Department of Orthotics and Prosthetics. Orchard Park, NY-based Curbell Plastics reported in September that it helped sponsor the Orthotics and Prosthetics Activities Foundation’s (OPAF) First Swim and First Dance events held in Dallas. The Alexandria, VA-based American Physical Therapy Association’s (APTA) scientific journal, Physical Therapy (PTJ) is moving to “the next level” with its partnership with Oxford University Press (OUP), according to PTJ’s Editor-in-Chief, Alan Jette, PT, PhD, who published an editorial in the October issue describing the partnership. Now entering the US market is 4Jointz, a natural over-the-counter pain relief cream developed in Australia. 4Jointz is formulated for those suffering from osteoarthritis (OA), sports injuries, and everyday wear and tear. nora Systems now offers two new materials designed to absorb shearing forces associated with walking. Lunatec motion, an EVA (ethylene vinyl acetate) material, is available on its own or as part of a composite sheet called Lunatec combi motion.